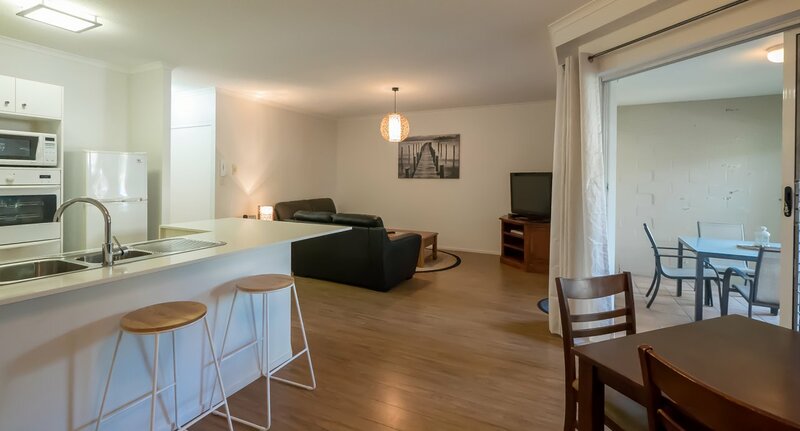 Tucked within tropical gardens, Sanctuary Lake Apartments offers spacious self-contained and smoke-free holiday apartments in Currumbin on the Southern Gold Coast. Our two and three bedroom apartments feature all you need to relax and recharge, from private balconies to fully equipped kitchens and access to the resort’s sparkling saltwater pool and inviting sundeck. 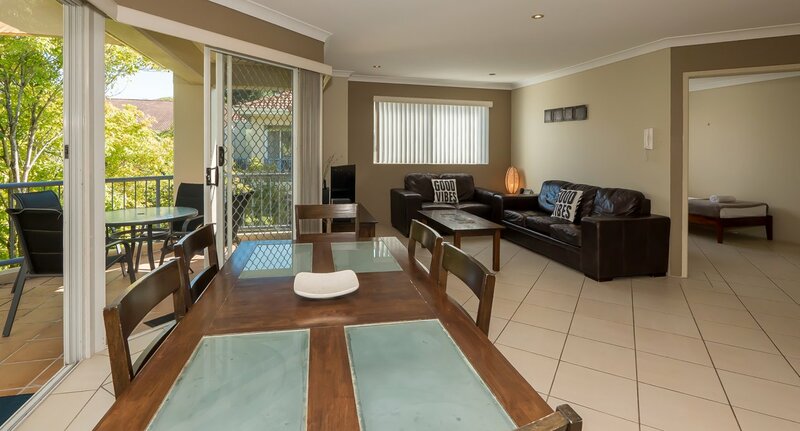 With the popular Currumbin Wildlife Sanctuary right next door and the beach only 5 minute’s stroll away, our accommodation at Currumbin Beach is the starting point for your best Gold Coast break yet. "Just wanted to personally tell you that we had a great weekend down at your resort. We came home feeling quite relaxed and in no mood to get back into our normal routine. We honestly do not have one complaint. " "Had a fantastic getaway at Sanctuary Lake Apartments. A secluded tropical oasis hidden away on the Gold Coast. We stayed for 9 nights and it was a relaxing welcome home each day from our activities. Accommodation was excellent, extremely clean and spacious. Everything you needed and more. Manager a delight, very friendly and helpful. Have already r"
"Many thanks for a wonderful stay. Loved the place. Have been telling our friends! " "We had an amazing stay with our family. Apartments were immaculate and spacious. The pool was so beautiful and clean. All staff were friendly and the residents were approachable and welcoming. Will definitely be back.."
"We stayed at Sanctuary Lake Apartments at end of September 2014 in a 2 bedroom unit (No.10). We had relatives from England with us. We all were very happy with the accommodation, and found it to be in a wonderful position. It was walking distance to the beach and the Wildlife Sanctuary. The apartment itself was clean and spacious and overlooked the"
"We were so pleasantly surprised at how lovely the resort is. Our room was beautifully appointed, in a perfect location and had more than we could have asked for. The pool and grounds are immaculate - everything well thought out and efficient thanks to Edward’s hard work. We will be returning next year for another stay - this time making it lo"
"Hi guys, Just thanking you for a great stay. From our first conversation on the phone to checking out, your friendly and professional ways made it a pleasure. The rooms were great and the pool and spa were perfect. Thanks again. "